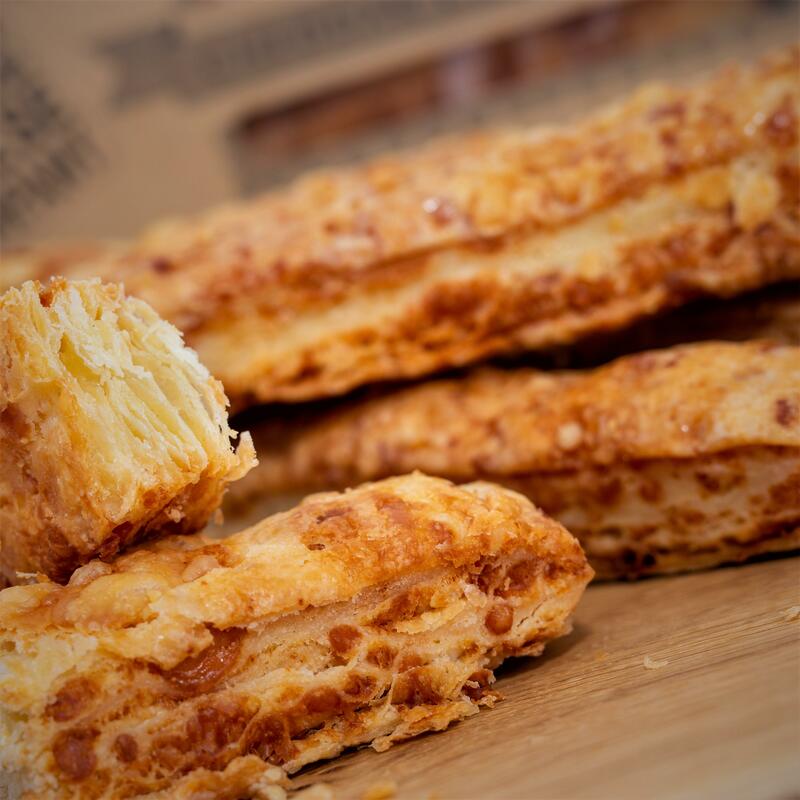 An interesting selection of 5 Cheddar cheeses accompanied by our award winning, handmade Cheese Straws. 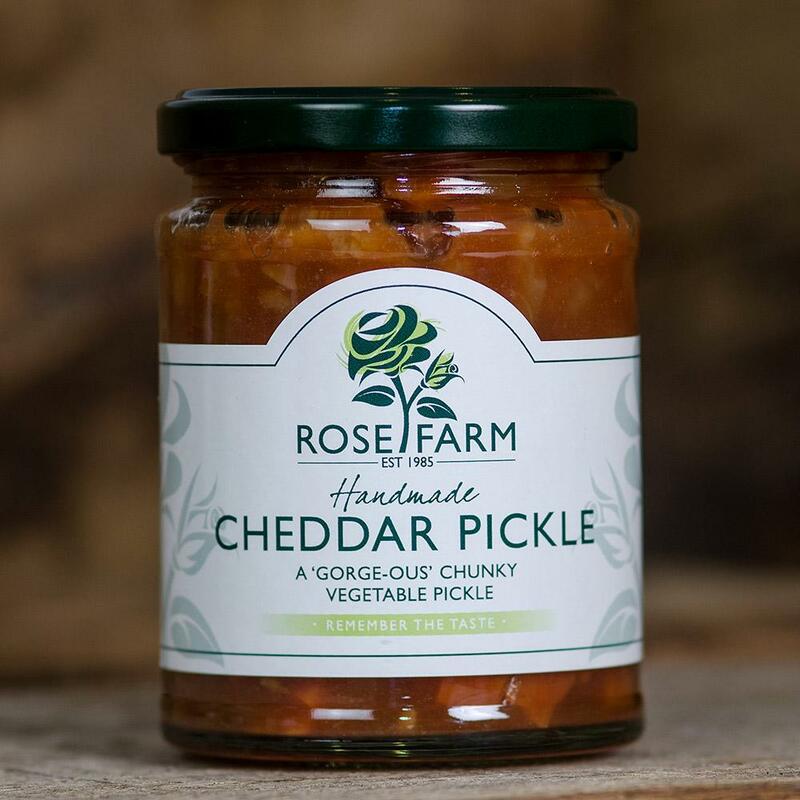 Included too - a box of Furniss Original Cornish Sea Salt Oat Biscuits and a Jar of Rose Farm Cheddar Pickle. For the curious, this selection allows you to sample the different ages of our cheddar cheese and to learn what effect on taste and texture the storage humidity, maturity time and temperature has on a traditional cloth-bound cheddar. 5 x 190g wedges of Cheddar Cheese: Vintage (up to 24 months matured), Cave Matured, Mature (around 12 months old), Mellow (6 months) and Oak Smoked. 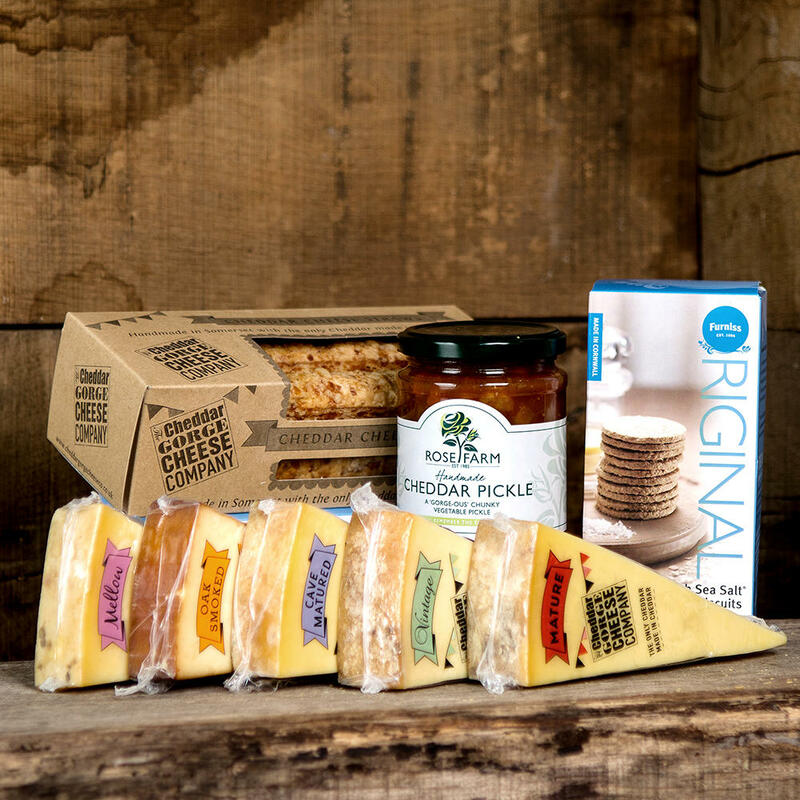 A large 300g Jar of Cheddar Pickle, a box of our very own Cheese Straws (see HERE for more on these) & 170g Box of Furniss Cornish Sea Salt Oat Biscuits. We're sure you'll like this selection.